Hear different takes on the proposed suicide barrier. Plans to build a suicide barrier on the Golden Gate Bridge are moving ahead. A committee of the Metropolitan Transportation Commission, signed off on $5 million in federal funding on Wednesday to design the barrier. The full commission is expected to give its approval later in the month. 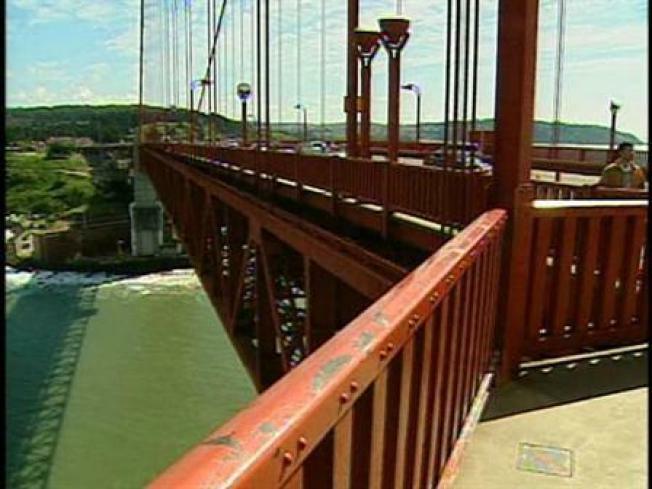 Golden Gate Bridge officials voted overwhelmingly two years ago in favor of hanging a stainless steel net from the sides of the world-famous span in an effort to stop people from jumping to their deaths. The barrier would cost $45 million. Bridge officials are seeking federal, state and private funding for the project. Officials say designing the barrier is expected to take about 18 months. More than 1,300 people have jumped from the span since it opened in 1937.